September 23, 2017 This post may contain affiliate links, which means that at no extra cost to you if you buy from one of the product links, I’ll earn a small commission which helps this site run. See full disclosure here. I received the 5k Crate to review as part of being a BibRave Pro. Learn more about becoming a BibRave Pro (ambassador), and check out BibRave.com to find and write race reviews! I wanted to wait a while before posting a review on the 5k crate I received earlier this month. I wanted to test the quality of the products sent in the crate. While I’m reviewing the box and not the individual products, I sort of need to review the quality of the products in the box to determine if the box is worth it. 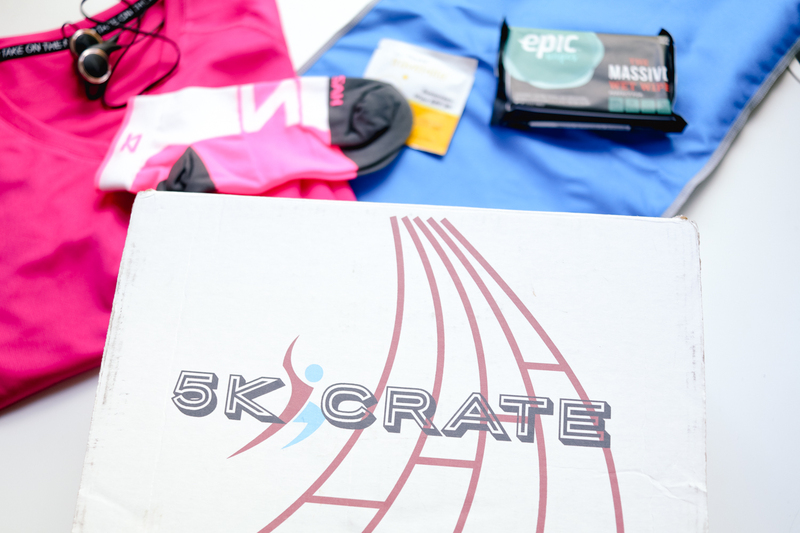 5k Crate is a quarterly subscription box that sends high quality running apparel and accessories to runners of all types and fitness levels. They include 5-6 reusable items. You pay $59.99 per quarter, and then you receive your box of running goodies. You can save money by purchasing a yearly subscription. And with any subscription box, it’s important to know that in order to avoid being billed for future subscriptions, remember to cancel before the next billing date. What Came in my Crate? Mission t- shirt – pink! 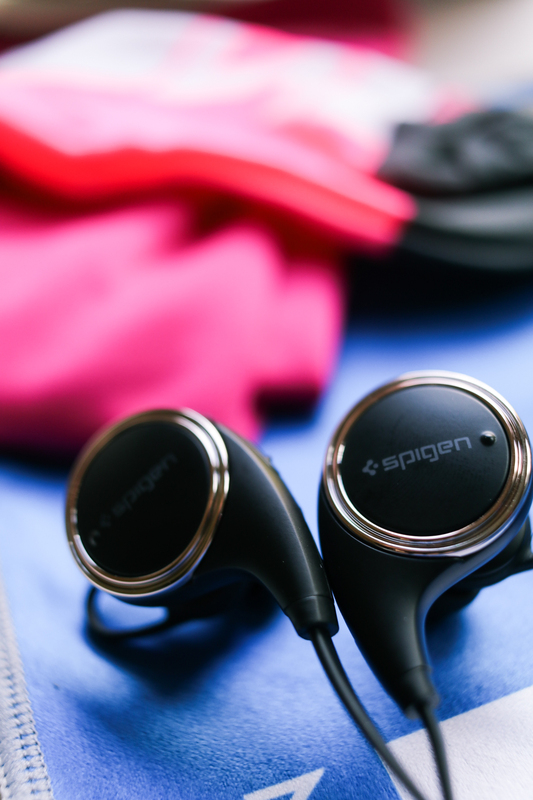 Spigen wireless earphones – almost the price of the crate alone! 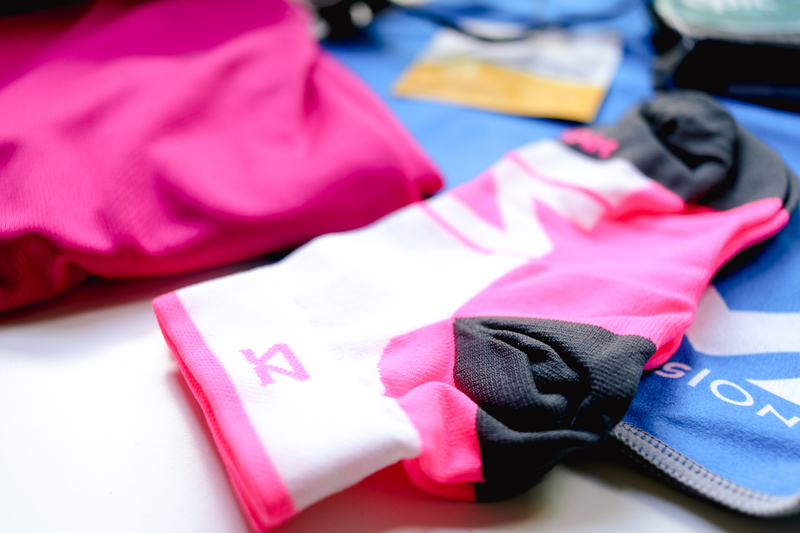 Zensah socks – more pink! All of the gear I received in my box is worth more than the price of the box. So in my opinion, that alone makes the box worth it. I also think it’s a great way to receive products from brands you’ve never heard of or products you would never think to buy. For example, I would never have purchased a cooling towel on my own. And I’ve been a baby with our hot weather recently, I took a week off during the heat wave and then moved my runs to early in the morning. So I haven’t gotten to try it yet, but I’m really interested to see how it works. I also love wet wipes. 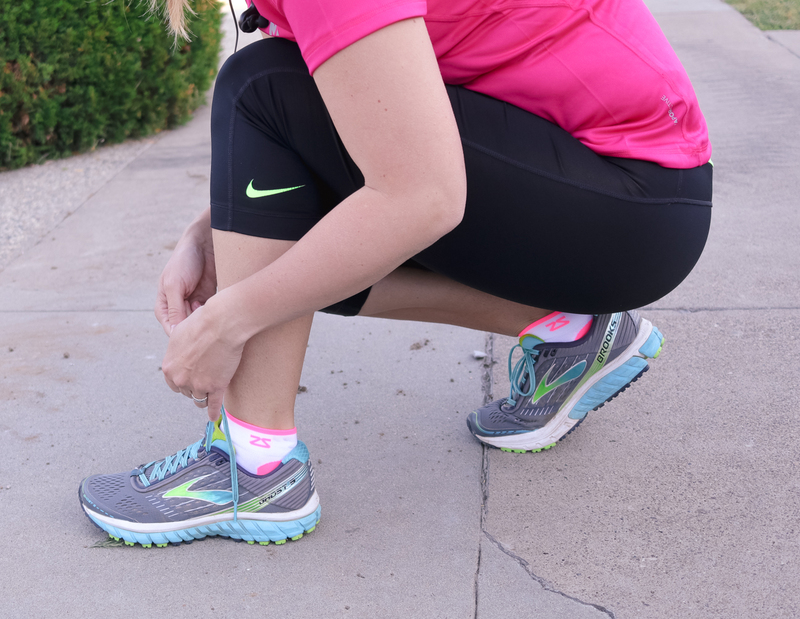 As soon as I finish a run or workout, I wipe down to get the sweat off my skin. Unless I’m finishing a run at my front door and getting straight into the shower. Each wipe comes in a small, convenient package that fits easily in your gym bag. And the sunscreen was a nice inclusion, since I do most of my runs outdoors. I’ve never tried any Mission products before, so again the box is great for finding new brands. The shirt was very comfortable and quite flattering. 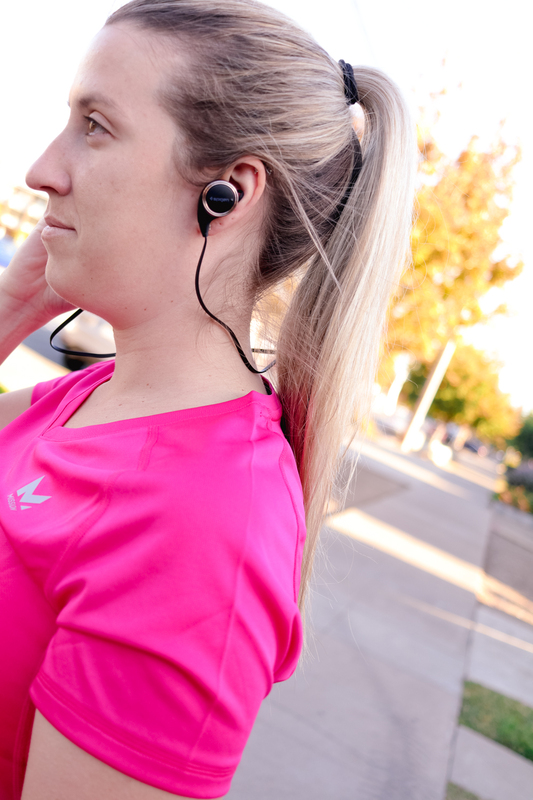 It’s comfortable to run in, and actually really comfortable to work out or lounge in as well. As with all my fitness gear, I washed the shirt on cold and hung it up to dry. I have been trying to find good socks, so I was happy to try some new ones. Plus I love that they sent me pink socks! I bought new socks before my last half marathon, and when I took my shoes off I had somehow cut holes into them from my short toenails. So I’ve been looking for new ones to try. These socks are great, they look and feel great. They sit high enough to prevent chafing on your ankle and they didn’t slip down while I was running. I already had a pair of the wireless Beats, which I got for free when buying a new laptop or phone a few years ago. But it’s great to have another pair, especially when I forget to charge the battery. And it’s not something I’d go out and buy on my own, since I already have a pair. 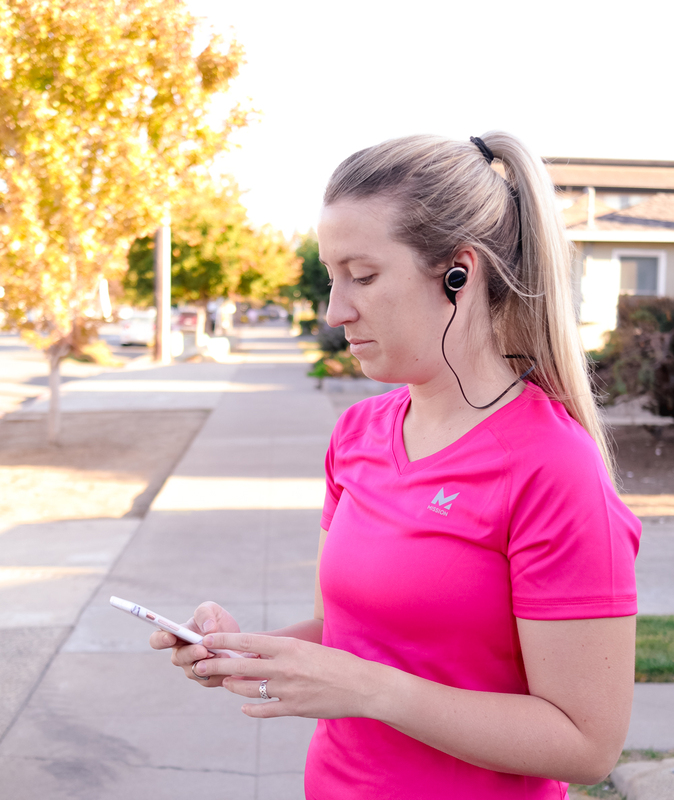 They fit into my ears well and stayed in place during my runs. I did have a hard time getting the cover off the charging port, but that was my only complaint as the battery seemed to hold up well. I am really pleased with the quality of the items I received. All of the products that were included were high quality. The wipes and the sunscreen were a nice addition to the box since I received several other great products. It’s nice to try out new brands. And I really like receiving products I would never think to purchase (the oversize wet wipes or cooling towel for example). So overall, I think the box is definitely worth it. For more information and to order your runners box, go to their website and sign up to get your 5k Crate here! Make sure you share this with your runner friends! 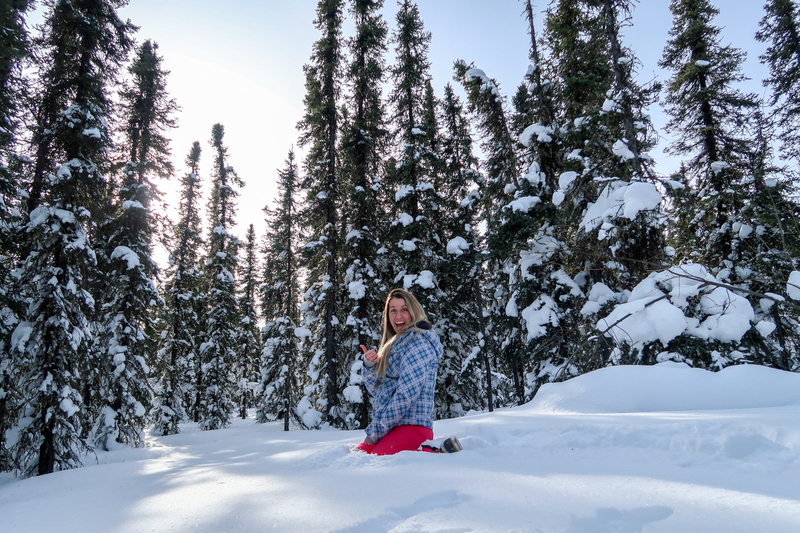 Love all the pics in your post! This sounds like a GREAT box!!! It definitely is! I really love finding new products/brands to love!